Last night my family and I had the opportunity to taste the NEW Fall Crush menu at Bonefish Grill. Bonefish is one of our favorite places to eat in Greenwood (yes, it’s a chain and yes, it’s worth a visit). I have to say, I was impressed. I am going to share a few photo’s from our visit along with links to the new menu and how YOU can find a Bonefish Grill near you! 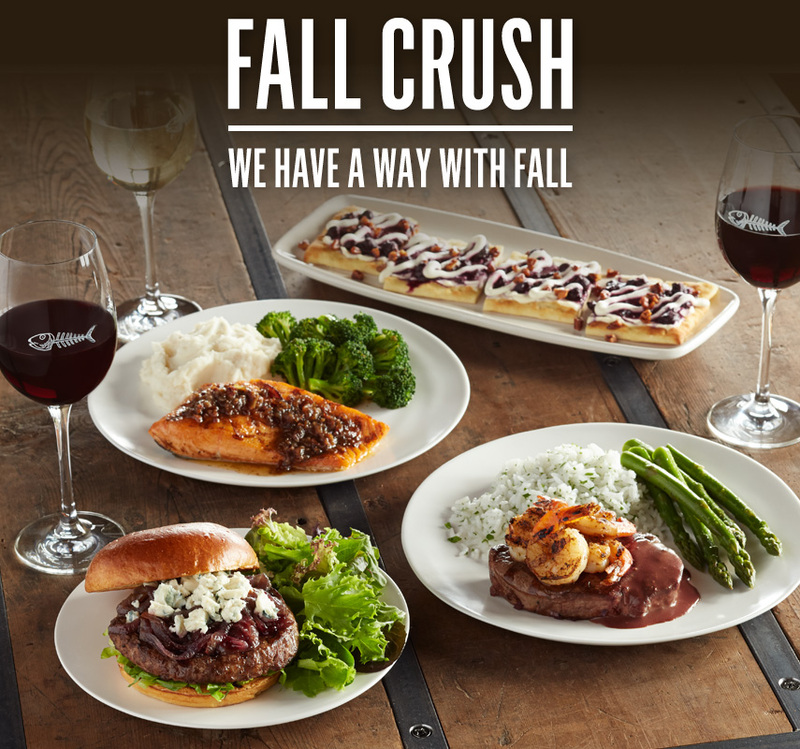 I have to say, the Bonefish Grill Fall Crush Menu is a winner. Not only did I get a great steak, last week I had a really filling (and healthy) roasted vegetable bowl. All that was missing last night was the pumpkin creme brulee- we were just too full to order it! Bread. I cannot skip the bread. Ice cold glass of Chardonnay of course! Grilled chicken kids meal. Not new- just wonderful. I love healthy kids meals! Heather, I've always wanted to dine at Bonefish Grill (there was one in Minnesota that I drove by a couple of times, but couldn't stop... wahhhh.) I can see why it's one of your favorites!